Right now I am going through the phase where I am absolutely obsessed with nail colors. 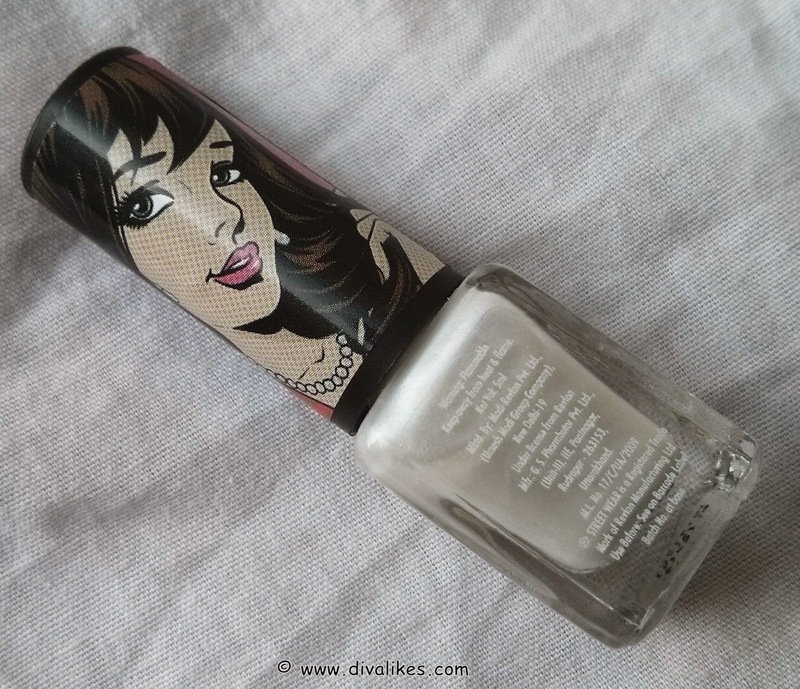 Diva Likes chose the right time to send across two amazing nail colors from Street Wear as a part of the other lovely products. The one I have chosen to review today is Street Wear Color Rich Nail Enamel Pure Passion. I fell in love with the shade the minute I saw it. Its been a while since I used a mild and toned down shade of nail paint. Among all the blues and greens, this shade sounded like a great idea. Also this is the first time I am trying this pearly shade because I always had a feeling that it will make my hands and feet look darker. It was all probably in my head. Anyway, read on to see if you love the shade too! It is time to update your cosmetic kit this season with this Street Wear Color Rich Nail Enamel Pure Passion. The nail enamel not only offers long-wearing, easy application, but also promise good coverage and colour saturation. 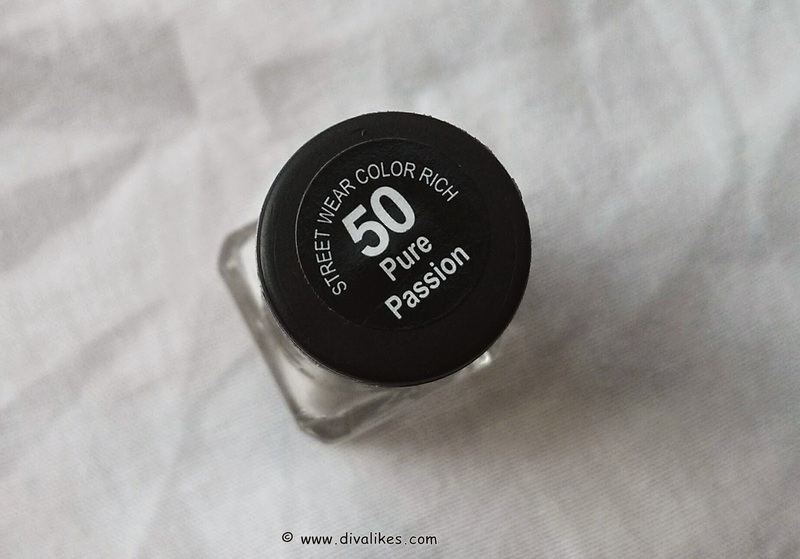 Street Wear Color Rich Nail Enamel Pure Passion comes in a glass bottle along with an applicator. It would have been like any other nail color packaging if not for the face of the girl printed on it. I feel it would have been better if they did not go for glass because this can break easily when dropped. I love the see-through packaging though. The shade Pure Passion is a pearl shade according to me. 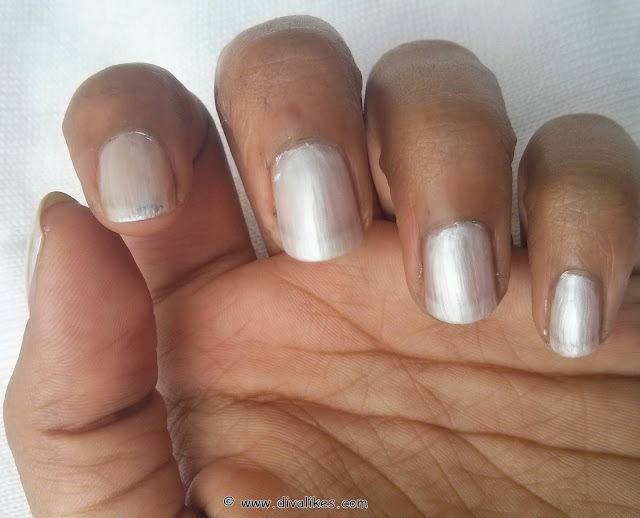 It looks as beautiful and glossy like an actual pearl when applied to the nails. The consistency of the product is thin and is easy to apply. We require minimum 2-3 coats to get a good opaque finish. The shade itself is very light and hence it need more coats. People who prefer wearing transparent shades will surely love this and can even opt for a single coat. Though there are many similar shades coming in the market, I still feel this is a good pick. Attractive looking bottle due to the print on it. Pure Passion is a beautiful pearly shade. I love the consistency of nail color. 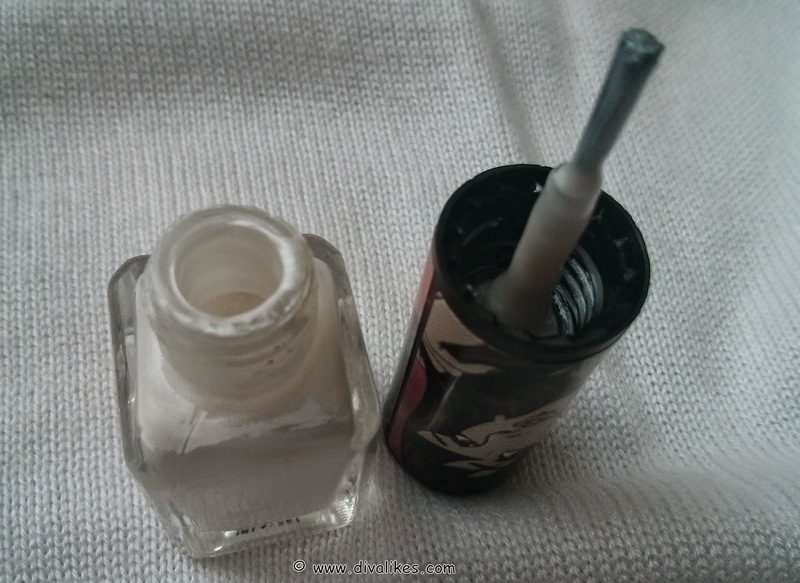 The shade is sheer & requires more than 2-3 coats for an opaque finish. Glass bottle is bound to breakage. It is a great nail color and this shade will surely make your hands look beautiful. You just need to give it a try and you will definitely love it. Lovely review... Even i have recently picked up a couple of things from the Streetwear collection... But i'm yet to test them out! ooo Karishma, you have to try it. They are amazing!